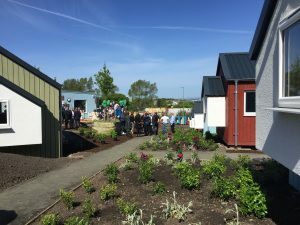 Social Bite is on a mission to build a collaborative movement to end homelessness in Scotland, thanks to recent fundraising efforts the Social Bite Village has become one of their many projects to help achieve this goal. The idea is to bring people from all walks of life in Scotland together to ensure that no one ends up homeless. 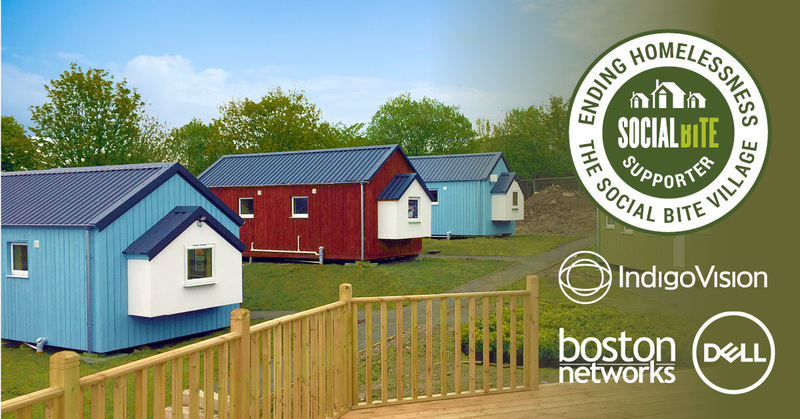 The Social Bite Village aims to provide a low cost, innovative and safe environment for up to 20 people for 12-18 months. Residents will be provided with the support, community and skills required to get their life back on track, including work placement opportunities and employability support. After the 12-18 months, the residents will transition to permanent accommodation and receive support in gaining employment, supporting their return to society. As one group of residents leaves the village, another can then enter and begin their journey. Residents will be selected from individuals in temporary and unsupported accommodation. The ambition behind this project is to create a full circle solution to the issue of homelessness – from housing to support to employment. IndigoVision, Boston Networks and Dell Technologies have worked together to help Social Bite reach their goal by installing a security system to provide surveillance for the village site, specifically during the evening hours to ensure all people on site were kept safe. As part of the installation, IndigoVision provided 11 state of the art BX HD Vandal Resistant Minidome Cameras, which deliver high quality video and audio in all environmental conditions. Boston Networks provided a survey of the Granton Road site, following which they laid cabling and set up point-to-point links to provide backhaul connectivity to support the network, before installing the cameras and configuring the security system. Purdicom and InfiNet, Boston Networks’s distribution and wireless partners, provided the back-to-back wireless kit and license. Finally, a Hybrid NVR Workstation, which allows Social Bite to save recordings from the site, and a Workstation Monitor have been provided by Dell Technologies to complete the security system. The official opening of the Social Bite Village took place today, Thursday 17th May. For more information about our security solutions please click here. To find out more about the Social Bite Village please visit their website here.